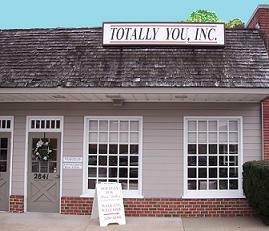 the Stratford Hills Shopping Center inside Totally You. While using the Jacque Tyler Electrologist site you may be required to complete forms that ask for certain personal and contact information. These types of forms include our feedback and product order or information request forms. Information collected on the forms is used for its intended purpose as described on the form and to make improvements to the user experience on the site. Jacque Tyler Electrologist will not provide access to personal information to third parties not associated with Jacque Tyler Electrologist. Jacque Tyler Electrologist will not sell or rent your personal information to any party. We do reserve the right to disclose such information in response to court and governmental orders, subpoenas, and otherwise as required by law. For your convenience, our Web site may contain links to other sites. Jacque Tyler Electrologist is not responsible for the privacy practices or the content of such Web sites. Jacque Tyler Electrologist may send email to inform you of exclusive information about special offers, new products and much more. If at any time you would like to stop future delivery of Jacque Tyler Electrologist e-mail, please follow the removal instructions located at the bottom of each message. Asking to be removed from email will not prevent you from receiving email confirmations for any order you place at Jacque Tyler Electrologist.